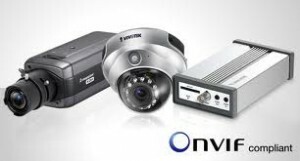 ONVIF – are you having a laugh? It only really gives streaming compatibility – offering 3 stages of ‘true’ compatibility – basically, 3 stages for manufacturers to allow or not allow their features and settings to be accessed……..
HD security cameras - HiDef or Megapixel ? This entry was posted on Sunday, March 13th, 2011 at 18:30	and is filed under IP CCTV. You can follow any responses to this entry through the RSS 2.0 feed. Both comments and pings are currently closed.